Yes, Prime Minister was a popular British sitcom of the 1980s written by Antony Jay and Jonathan Lynn. 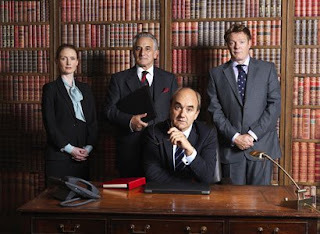 Now, after all these years, it has been revived and finally, the Yes Prime Minister fans get to see Hacker, Sir Humphrey and Bernard again. In this: Prime Minister James Hacker is portrayed by David Haig; the Cabinet secretary, the sly Sir Humphrey Appleby is portrayed by Henry Goodman and the Principal Private Secretary to the Prime Minister, Bernard Woolley is portrayed by Chris Larkin. The character of Dorothy Wainwright, the Prime Minister’s political adviser in the earlier series, has a higher role in this revival, under the name Claire Sutton, played by Zoe Telford. Jim Hacker is facing the biggest challenge as Prime Minister – a divided coalition, a plunging European economy and is also heading an EU meeting which is going nowhere. Hacker is desperate to arrive at some compromise in the EU conference and win public confidence. A former Soviet state, Kumranistan (fictitious) comes to their rescue, offering a $10 trillion loan secured against future oil purchases but, there are a lot of negotiations to be done before the deal could be arrived at and this is what the first season is about. I’m a BIG fan of the Yes Minister/ Yes Prime Minister series that was shown in the 80s and when there was news of an attempted revival, it got me very excited. It was good to see Hacker, Humphrey and Bernard back in the screen, although done by different actors and it was initially difficult to even accept the new actors in the old roles. There was good comedy in throughout the show, but it was nowhere close to what the previous show had and some of the dialogues were even repeated, from the earlier show. The issues that Hacker was dealing with, was also contemporary, such as the EU debt crisis, Scottish independence referendum, the debate of Britain joining the Euro, etc. One thing that I particularly liked about the revived series is that it had continuity and had the flow of a story, something that was lacking in the erstwhile series (in fact, I had started watching that from season 2). That said, I’d also have to say that I was thoroughly disappointed with this, where I doubt whether there is any scope for a Season 2. While Humphrey and Bernard retained their respective personalities, it was terrible of them to change Hacker’s attitude and behaviour where he very frequently blows the top whereas in the earlier series, despite Humphrey stalling policies and avoiding answers, Hacker never got angry at him or screamed. Then, I found the TV interviews highly unprofessional and artificial –they hardly gave an impression that Hacker was actually doing a formal interview for a television channel. Then, the season was short, with just six episodes – while it is true that the original series too had only seven episodes per season, it lacked continuity but when you’re trying to create a story of this sort with six episodes of half an hour each and every episode connected to each other, it would inevitably lead to an abrupt end this was no exception. As a purely individual series, without drawing any comparisons with its predecessor, the series wasn’t bad per se and it had its good moments and if anyone who has watched the new series after having watched the previous one – one suggestion – treat this is an independent series and that the names are a mere coincidence because when you are going to set standards based on its predecessor, you’d end up being disappointed. I’m looking forward to the second season, if there is one and I hope there is an improvement. Despite my suggestion viewers who are planning to watch based on this review, I did the exact mistake of comparing this with its predecessor and because of that, I’d only award it a four on ten.